Need something to keep your child occupied during their Spring Break? 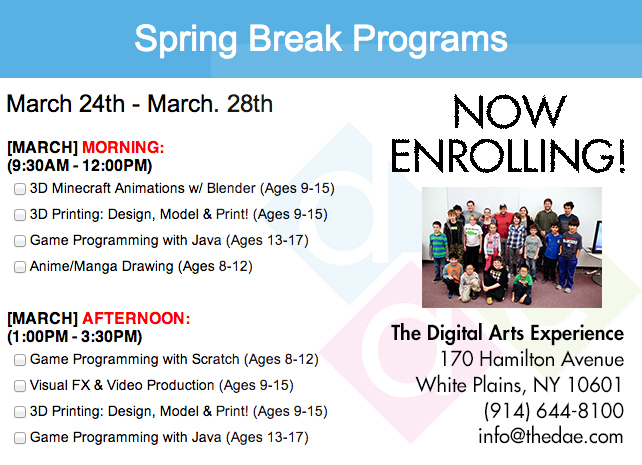 Sign up for our ONE WEEK BOOTCAMP at The Digital Arts Experience in White Plains, where they will work on and complete a finished HD video project! Students will work with like minded individuals and discover new creative outlets by working with the most up-to-date digital tools and technologies! 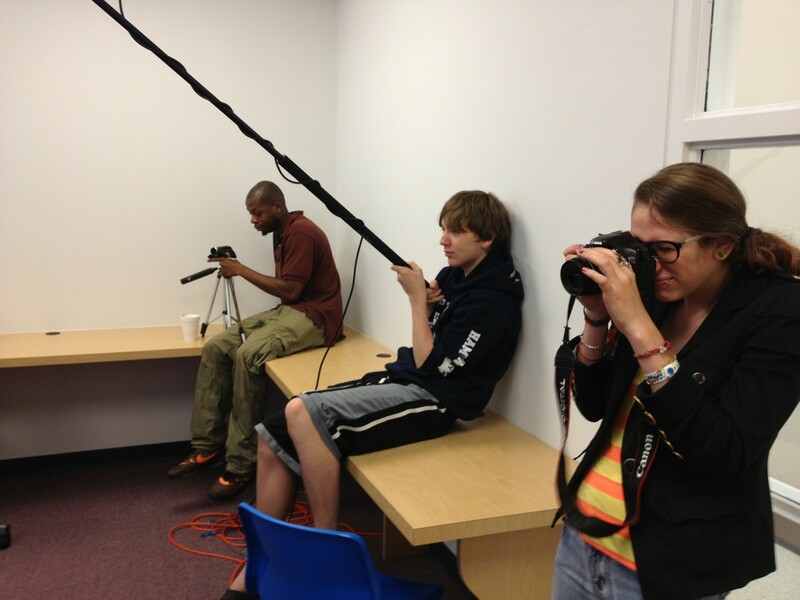 Students will have access to our on-site equipment, including HD Canon Vixias, GoPro Hero 2 cameras, our fully equipped recording studio, and our beautiful photo/video lab with green, black and grey backdrops. ONE WEEK SPRING BREAK BOOTCAMP – $700 SIGN UP TODAY!